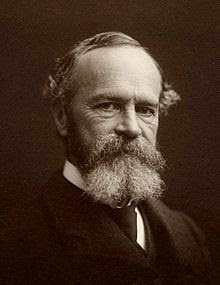 William James published his 'The Varieties of Religious Experience' in 1902 and it continues to be a book that a provides a theoretical framework for the study of religious experience. It is a framework that can and is contested but one that remains engaging, fertile and exciting. It, also, happens to be beautifully written. "The Awakened Ones is the most sustained and powerful treatment since William James of the forms of knowledge and life that visionary experience makes possible", declares Akeel Bilgrami, a Professor of Philosophy at Colombia University of Gananath Obeyeskere's book of this title that I have finally completed. There is in Obeyeskere's book a detailed exploration of the experience of a number of key 'visionary virtuosos' that can be illuminating at times. For example, the way in which he restores the Buddha's life to its mythical context, embedded in a vision, an awakening, that gives rise to a rational system as opposed to seeing him as a 'stoic philosopher' of Reason (as was the tendency of his nineteenth century Western admirers). There is, also, interesting forays into exploring the relationship between experience, language and culture (though it fails to allude to any of the key intellectual debates in this field in the past thirty years). But what it does not do is explore either the 'forms of knowledge' (with the exception of the Buddha) or of 'life' that visionary experience gives rise to or makes possible. The subtitles of the two texts capture the difference beautifully. James' is 'A Study of Human Nature', Obeyesekere's is 'Phenomenology of Visionary Experience'. The former is interested in the epistemological (and ontological) status of what religious experience reveals about who we are, where we are, and what we may become. The latter focuses almost exclusively on the visionary experience itself and how it might be interpreted primarily by the author. James is fundamentally inquisitive and Obeyesekere is an interrogator (who though he may not have the answers is the one entrusted with the questions). The most glaring example of Obeyesekere's failure to give us any appreciation of the forms of knowledge or of life that visionary experience gives rise to is through the absence of any discussion of love. He discusses Buddhism and its epistemology without any acknowledgement that wisdom goes hand in hand with compassion, they mutually co-arise: the one giving meaning to the other. He discusses Julian of Norwich without any discussion of what she may have meant by saying that the meaning of her visions was Love. And by way of final example, he discusses Blake without any sense that the ultimate criteria of the truth imparted by his visions was whether or not they led their beholder and interpreter to the forgiveness of sins. The last chapter carries a discussion of the poet, Edwin Muir, and his waking visions, described in his 'Autobiography', at which point, I fear, all my patience (for the admitted good things embedded in the text) evaporated. This section is, I am sad to say, merely lazy. My favourite sentence is, 'In Muir's case, we know too little of his early childhood conflicts, his sexual and marital relations, to relate his dream to his deep motivations' which, first, does not stop him speculating on earlier entrants to his text (about which we actually know considerably less); and, second, is completely nonsensical for a man who left us his 'Autobiography', a compelling and frank memoir by his writer wife of their life together, a highly sound and probing biography and volumes of correspondence! But worse he tells us that Muir's waking visions only result was a poem (whereas in a different time and place, with the appropriate interlocutors, they may have added to the corpus of a culture's mythology) whereas, in fact, not only did they help heal him (from the documented conflicts of childhood and early manhood), wrestling them into poetic form made him a poet: one of the finest of the twentieth century, with an opportunity to shape minds and hearts (alongside James) long after Obeyesekere's contribution has been remaindered.